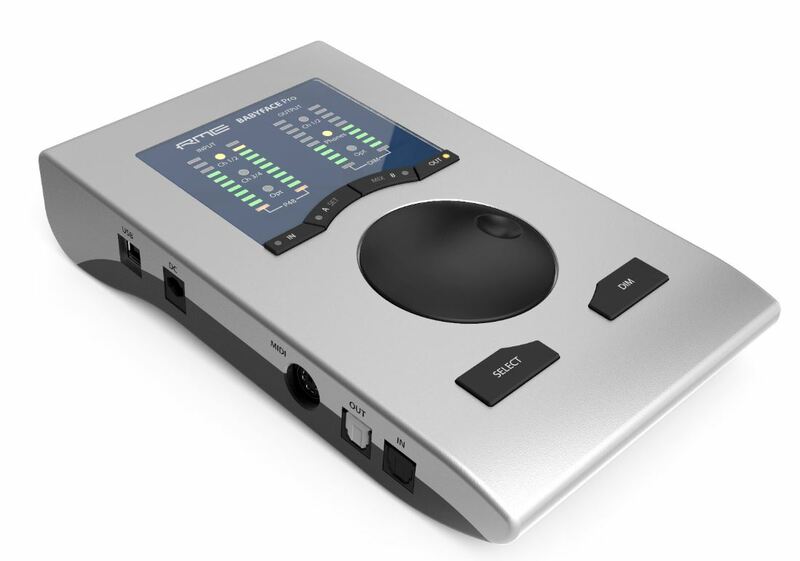 Babyface Pro is a 12-in/12-out, 192kHz, 24-bit, USB 2.0 audio interface made by RME – one of the most renowned audio companies in the market. Babyface Pro brings professional audio quality and resources into a rugged and compact product. It is an excellent choice for musicians, producers and anyone who needs a compact and mobile professional product. The top panel has a high-precision encoder, which is used to change several parameters, depending on the chosen function. There are also LED bands for displaying input and output levels and 6 LED buttons to indicate active inputs or outputs. The unit also has In and Out buttons, that will give access to input and output gain controls. Set and Mix buttons are used for direct monitoring and recall functions, although they can also be assigned to many other functions. 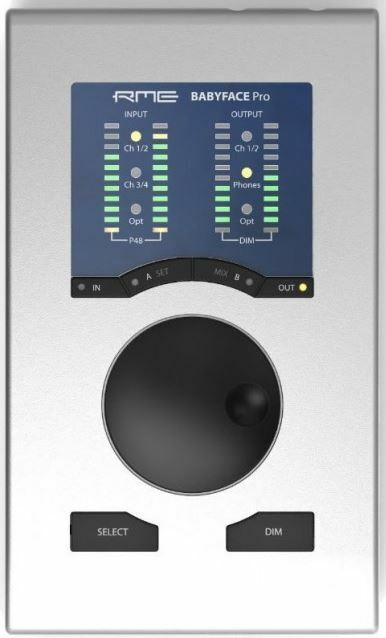 The back panel has two XLR inputs so that the user can connect dynamic and condensed mics, as well as line instruments. It also has two Main XLR line outputs. The right panel has two parallel Phones outputs, that can accept both high and low impedance headphones. There are also Inputs 3 and 4, that are used to connect the unit to high-impedance instruments. The left panel has the USB 2.0 port (USB 3.0 compatible), a power supply connector, a Midi DIM jack, and optical I/O. The product will automatically detect an ADAT or SPDIF signal, and the user will be able to add 8 more inputs/outputs via an external preamp. Babyface Pro comes with RME’s TotalMix FX – a digital real-time mixer software. 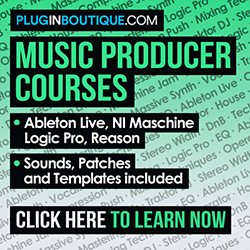 It allows the user to set infinite mixing and routing options, as well as adding effects, such as reverb, delay, and EQ.